On Monday the 25th June 2018, PhD By Design will hold a one-day event prior to the Design Research Society (DRS) 2018 conference at the University of Limerick to vocalise, discuss and work through some of the many issues of conducting a practice-based PhD in Design. The event will bring together designers undertaking practice-based doctoral research as well as supervisors to explore the many aspects of knowledge production within and across academic institutions. Since 2014, the PhD by Design platform provides a supportive and engaged environment for design research students in which to share experiences, dilemmas, failures and doubts connected to practice-based research in order to strengthen but also push the boundaries of the wider practice-based design research community. In connection to the DRS2018 conference which runs from the 25th - 28th June, this one day event will explore how and to what extent design research(ers) can be a catalyst for change. We invite participants to interrogate their role as catalyst of change in relation to their PhD research. The day will include ten discussion sessions where every participant will present their work, a series of peer-to-peer workshops and the collective production of the fifth PhD By Design Instant Journal bringing together the learnings of the day. The one day event will kick-start start conversations which will continue into the DRS conference in the days following, through a programme of activities and workshops in PhD By Design ‘Hub‘ space in the heart of the DRS conference. The PhD By Design event will be held in the main building on the Clare Street campus of Limerick School of Art and Design (LSAD) (GPS: 52.664919, -8.613841).This is a 10 minute drive from the main DRS location on the University of Limerick campus. Buses will take PhD By Design participants from the campus residence to the LSAD on Monday morning leaving at 7.50am. How can design tools be adapted and developed to aid individuals in their recovery from alcohol misuse? It is estimated that 1.2% of the population are likely to be dependent drinkers (those who present AUDIT scores of 20 or more) (McManus et al. 2014), with around 94% of this group thought to not be engaged with support services (Ward and Holmes 2014). This statistic suggests that innovation in this area is lacking, with new strategies most needed to engage the most resistant, entrenched and challenging drinkers. A gap in knowledge has been identified within the substance misuse field for designed toolkits which engage service users directly and employ creative practice as a primary engagement and recovery method. This research explores the development of a toolkit designed to facilitate new ways of connecting with and supporting the most dependant and vulnerable of drinkers. The aim being to support recovery in a way that is creative and tailored to individual experiences, so that the process is as effective and supportive as possible (Roberts 2009). How can creative engagement tools be improved? reative engagement activities are being used to enable expressive dialogue between public sector workers and communities they represent, aiming to understand social situations and individuals. Increasingly, public sector practitioners are turning to design as a catalyst to improve their engagement practices. This often takes the form of designing tools used by public sector workers. In Leapfrog project (www.leapfrog.tools), we have co-designed tools with public sector and community partners to support engagement practices in different aspects of the public sector. Leapfrog aims to transform public consultation through the development of new design approaches for the engagement of communities in public service decision-making. These approaches employ engagement tools to support creativity and problem-solving abilities in non-designers without using designerly processes. These tools present suggestive instructions, and editable elements in order to support people in creating tailor-made applications. As part of this research, we are looking at frameworks for improving creative engagement tools. How does it feel to experience yourself as data? Can we use affective properties of materials to communicate health messaging? The concept of affect is explored to identify its role to influence human experience of our relationships with health and fitness using wearable technologies and smart materials. The challenge is to create opportunities which help us to learn about the ways that use of technology in, on and around the body can create positive affect for change and motivation. This includes concerns around how we consume and interpret personal health information, and how sensory and affective dimensions of technology experience might impact change; for example tackling barriers due to anxiety. Towards development of a tangible (non screen based interface) data feedback system, a participatory design methodology is employed. In the workshop we will explore qualities of traditional materials and smart materials. Participants can inform research questions through discussion, while engaging in an interactive movement sessions; affective response to personal activity data is presented through using novel alternative sensory formats. Exploring the idea of ‘meaningful design’ in using technology to understand our own bodies, the intended outcome will inform an evidence base to support criteria for better understanding of relationships with our physical and digital ontologies during exercise. This information would be valuable for development of future technology interventions and objects designed to influence our personal health decisions. What role(s) for the design researcher in public service innovation? Innovation in the public sector is generally approached through technological acceleration and cut in human resources which has resulted in impoverishing service offering and put the citizens who depend the most on these services into difficult situations. In this context, how might designers contribute to close the gap between citizens’ needs and public service offering? What are the opportunities for design researchers to make the citizen’s perspectives truly influential when public services are (re)designed? Two very inspiring directions are emerging. One is the rise of innovative citizens’ initiatives aimed at solving urgent issues. The second is the growing number of public organizations becoming increasingly receptive to design approaches for making public services. How might designers draw on these two emerging directions to find new roles and opportunities to design? What are your experiences as design researcher/PhD student from cross-disciplinary research collaborations? Interdisciplinary research collaboration can be really beneficial, add value and give new insights to all participants. It often means a rewarding giving and taking, but can also hold different kind of challenges. Difficulties may not seldom arise due to the fact that different research fields have their own specific approved methods for obtaining, processing, interpreting and publishing data in order to be relevant and credible. The view on how to carry out research may alter not least between researchers from the design field and from evidence-based fields. Frictions due to different scientific traditions may have both positive and negative effects, unresolved clashes may lead backwards and to stagnation while others might be of more constructive charachter, and open up for new perspectives and ways of working together. The aim for this workshop is to explore, capture and learn from the different kind of challenges that the workshop participants have experienced themselves in trans-disciplinary collaborations. Co-designing the Affordances of Learning Spaces. How could the integrative modes of designing be a catalyst for changes to teacher practice in 21st century learning environments? 'Co-designing The Affordances of Space' addresses current perceptions around experiences of learning environments. This aligns with my current research with the ‘Innovative Learning Environment and Teacher Change’ (ILETC) project at the University of Melbourne. The ILETC project is looking at how teacher practice is augmented by space, and how teachers adapt to changes in their workspace as ‘Innovative Learning Environments’ (ILE) are implemented across Australia. How does this impact student learning? What changes to practice activate these ILE spaces? And how much agency do teachers have over their own practice as they manage the expectations or changes to learning environments? As an exhibition of the types of methods used in my design research on the ILETC project, the workshop prompts further discussion around the documentation practices in these co-design workshops and how these practices impact on design research data collection. How do we read and make sense of the types of data produced in collaborative, generative thinking and making? Maria questions Design as an evolving profession and what it can offer to society.Is Design’s Identity clear? Is its bank of Professions aligned with societal needs? Multiple disciplines adopt “Design-Thinking” to service their own professional occupations. Likewise Design offers services to our community, Is there a need for the Occupation of Design to service itself? This workshop is aimed at all strands of Design for us to collectively unfold and unlock what the following means in relation to each other and in doing so open up what the U (You) in Servicer-User means within the social-care sector. Dr. P.J. White (PhD Product Design, sp. Product Design for Older Adults) is a research director, supervisor, and lecturer at designCORE research centre at the Institute of Technology Carlow. As a Product Designer, he has extensive experience innovating for small to multi-national businesses. He was Co-chair of ‘Faultlines’ the 1st Irish Design Research Conference, hosted in Carlow and lead editor of Iterations research review. P.J. holds a PhD in Product Design, specifically in the areas of Design Ethnography and Product Design for older adults. Academic interests include Social Design, Design and Gerontology, Designing interdisciplinary research, Design Anthropology, and Human Centric Design as a means of understanding human behaviours and cultures. 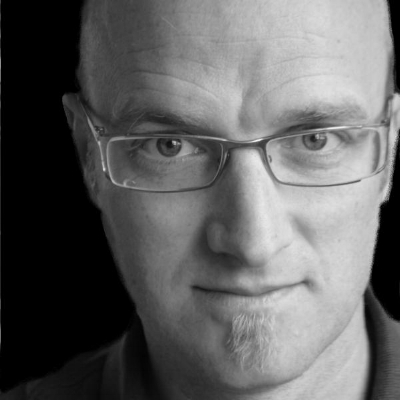 Dr Dan Lockton is Chair of Design Studies at Carnegie Mellon University, in Pittsburgh, PA, USA. His research, through the new Imaginaries Lab, centres on people's interactions with the designed world, and how that affects the way we think and act. Current projects include generating new metaphors, designing qualitative interfaces, externalising people's mental imagery, sonification of energy data, and exploring people's understanding of local government and artificial intelligence. Dan currently supervises PhD candidates at both Carnegie Mellon and the Royal College of Art. He has a PhD in Design from Brunel University and an MPhil in Technology Policy from the University of Cambridge, and before joining Carnegie Mellon was a researcher and tutor at the Royal College of Art. Dr. Nadia Pantidi (BA, M.Eng, PhD) is currently a Lecturer in the School of Applied Psychology, University College Cork (UCC) and a member of the People and Technology Research Group. Before joining UCC, she was a Research Fellow in the Mixed Reality Lab at the University of Nottingham. She has participated in interdisciplinary research projects on the areas of sustainability (energy, biodiversity, citizen science), food innovation, education and disaster response. Her research themes span the areas of HCI and Psychology with a particular focus on understanding people’s everyday experiences of using technology; evaluating and designing interventions and technologies that are sensitive to, and reflective of, the values, practices and experiences of end users and stakeholders using participatory, user-centered approaches. Her current research is concerned with investigating how grassroots communities and/or new forms of community engagement can be supported by digital technologies and services. Dr. Uta Hinrichs is a Lecturer at the School of Computer Science at the University of St Andrews, Scotland, specializing in visualization and HCI. She received her PhD in Computer Science with specialization in Computational Media Design from the University of Calgary, Canada. Drawing form fields outside of Computer Science (e.g., Design, Literary Studies, and Information Sciences), Uta’s research is driven by the question of how to facilitate insightful, pleasurable and critical interactions with information in physical and digital spaces, both as part of professional activities and everyday life. Her research has been presented and published at academic venues spanning the fields of Visualization, HCI, Literary Studies, and Digital Humanities. Dr. Adam de Eyto -B.Des Hons. (Industrial Design) , PhD (Design for Sustainability), Dip (Teaching, Learning & Scholarship). Adam is the Head of School of Design at the University of Limerick, Ireland and lectures in Product Design as-well as conducting research with the Design Factors Group . He has a specific research expertise and interest in Design for Sustainability and also works in the areas of New Product Development, Sustainable Product Service Systems, User Centered Design in Soft Robotics, Transdisciplinary education, Humanising Medical Devices, Behavioural Change and Soft Product Design. 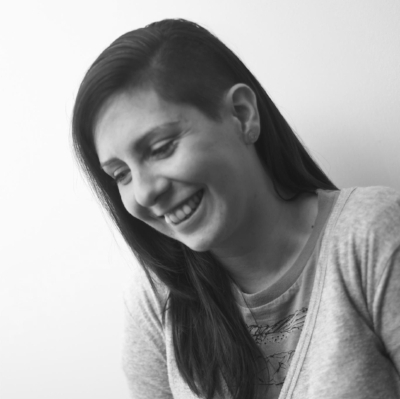 Sam is Head of Department of Product Design which includes a BA Product Design, BA Interaction Design, MSc Medical Device Design and MA Interaction Design. He holds an MA in Industrial Design with a focus on participatory design for development aid. His MA was conducted in partnership with Design Without Borders and centred on the design of low cost lifejackets for production and use in Uganda. From 2014 to 2017 he was principle investigator for NCAD input in PELARS, an EU FP7 funded project concerning the development of a learning analytics system and environment for practice based learning in design and STEM education. A Lecturer in Critical & Contextual Studies at Limerick School of Art & Design, Susan graduated from LSAD with a BA in Fine Art, Painting before qualifying as an Art and Design Teacher. After spending some time teaching in Valladolid, Spain, she went on to study for a Masters in Visual Culture at Goldsmiths College, University of London. In 2018, Susan completed a PhD in Education at the University of Limerick. An Interpretative Phenomenological Analysis, the research explored the experiences of the Visual Arts Practice PhD in Ireland. 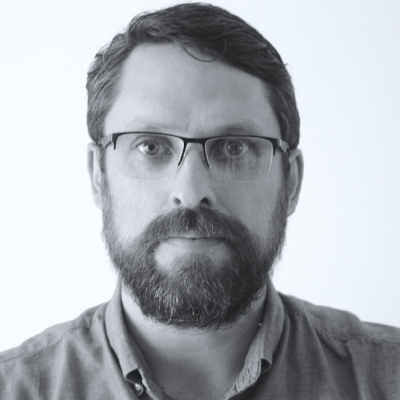 Simon is a Design Research Fellow with the Irish Environmental Protection Agency. Simon has acted as an advisor to governments, industry, third sector organisations and universities on design for sustainability and social innovation. His research explores the intersections of public service innovation, design for policy and behaviour change and his design practice focuses on co-design, service design and social innovation. He is an expert evaluator for the European Commission’s Horizon 2020 Programme and has been an invited speaker on emerging design practice by organisations such as the BBC, British Council and UK Technology Strategy board. 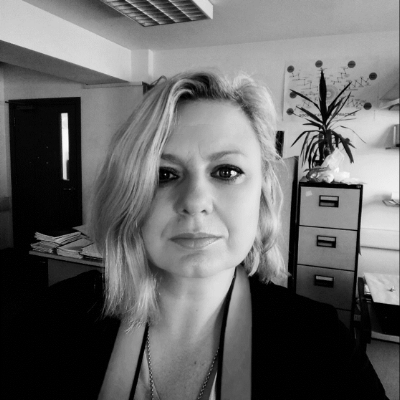 Dr Jennifer Ferreira is an active researcher and casual lecturer based in Cork, Ireland. She has publications falling under three broad themes: Digital economy, agile development and user experience design, and user interface design and evaluation. Her current research interests are around digital platforms for citizen engagement and social connectivity. She applies qualitative methods in her work, with an emphasis on ethnographically-informed and participatory design approaches. Ruth Duignan is a Fashion Designer. She lectures in the Limerick School of Art & Design. Ruth has a Masters in Business from the University of Limerick. She previously worked for the Design & Crafts Council of Ireland (DCCoI) and continues to work on the DCCoI CraftEd programme which has professional Designer/Makers assist in the delivery of the Primary School Art & Design Curriculum. She delivers CPD training in Design for second level teachers. She is a current member of the Midwest Makers, eTextiles and Open Creators Limerick where she explores the integration of traditional textile and craft skills with new and emerging technologies and its application to contemporary art & design production and consumption. Dr. Séamus Ó Ciardhuáin is a lecturer in the Department of Information Technology, Limerick Institute of Technology. His teaching activity focuses on computer graphics and operating systems, and his research interests include human-computer interaction, computer security and computer forensics. He was previously a researcher in University College Dublin where he obtained a PhD in computer forensics, and was technical manager on a number of European and Irish research projects. He also has many years experience in computer systems administration, networking and user support in a diverse range of environments. 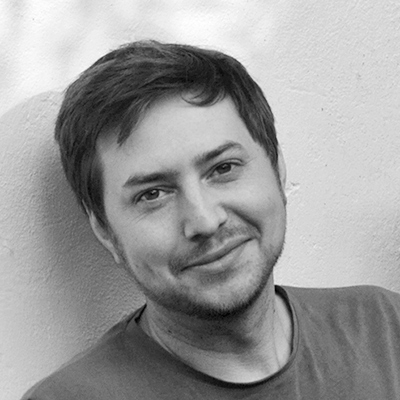 Dr Marcus Hanratty is a Lecturer in Interaction and Product Design in the National College of Art and Design, Dublin. His research focuses on the role design and technology play in shaping people's behaviours, with a particular interest in Design for Sustainable Behaviour and the role of emotion in behaviour change. His research activities are inherently interdisciplinary, but are led by a belief in the power of design practice and the designed artefact as agents of change and learning. In what way do participants view the design process according to cooperative and collaborative methods- applied to workshop scenarios? The primary workshop project focuses on an individual and collective ‘self-build’ process- using tactile building ‘blocks’ to form environments that relate to the topics of the session, namely cooperation and collaboration in the design process. Through a series of proposed scenarios, participants will explore perceptions of (1) cooperative and (2) collaborative design processes (see below), their effects on the composition of the objects and building blocks around us, and the fundamental investments of stakeholders in these environments. (1) working in cooperation with those around them, emphasising individuality. (2) working in collaboration with those around them, emphasising the collective. Interactive questionnaires, at the start and finish of the workshop, will pose a series of thoughtful inquiries that intend to act as a reflection on the role of the workshop participants (designers) as a catalyst for change, how this change could manifest in PhD for Design, and any questions this could raise. How will the role of designers change when using design methods together with Virtual Reality? How can it be ensured that data, collected with the help of Virtual Reality, is reliable in comparison with real life prototypes, mock up and tests? Industry 4.0 is affecting product development processes in the way that fast development cycles as well as short product life cycles are expected. How designers can keep up with this fast development while still being able to design products that are usable and avoid flooding the market with useless products? The research question is: how Virtual Reality (VR) can make the link between fast technology development and traditional industrial design? Beyond this, it is investigated how this integration and development of technology changes the Designers’ role in the future. The hypothesis is that VR supports Designers in focusing on users’ needs and wants and simultaneously it gives them flexibility for products and services design in this fast paced world. VR has the potential to support problem statements during the initial phase of the Design Process. Furthermore, together with users, concepts can be created within VR workshops. Finally, VR allows a validation of concepts regarding usability without the need to build up costly and time consuming prototypes. Subjective Challenges in Action Research: Sharing problems. Exploring solutions. 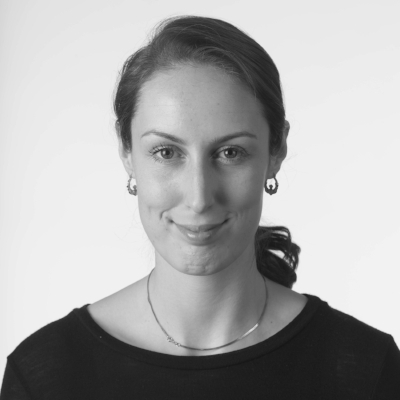 Gwen Lettis – Lecturer, Media Communications, Cork Institute of Technology, PhD candidate – Design Factors, School of Design, University of Limerick. What challenges do we share in relation to the subjective nature of action research? The Phd by Design event is described as aiming to allow PhD students to “to share experiences, dilemmas, failures and doubts connected to practice-based research in order to strengthen but also push the boundaries of the wider practice-based design research community.” The workshop is designed to facilitate this aim. I am currently undertaking a PhD study in developing graphic communication design students’ ethical responsibility. The method involves students exploring their individual values, therefore involves a variety of individual perspectives. As my study is an action research study, the researcher is acknowledged as a participant. Therefore I, as a participant, also bring my perspective. The subjective nature of the study provides challenges. These challenges must be recognized and dealt with through a rigorous approach to research methodology within the study. In this workshop I would like to acknowledge and share some of the challenges I have experienced. The objective is to share experiences, but to also actively look for solutions to shared problems. I would like to invite fellow PhD students to openly discuss difficulties in the subjectivity in action research and to work together to find solutions. The common thread among the workshop questions is that they concern the sometimes-uncertain nature of this qualitative process. Issues that have arisen relate to the subjectivity of my role – the researcher as participant, indoctrination, double hermeneutics, uncertainty, validity and generalizability. Other shared issues may be addressed in the workshop. Is the persona artefact a suitable method to open-up cross-cultural research for the design of technologies, and if so how does one go about doing research and creating persona artefacts when having little or no experience about the given locale/s where research is to take place? ersona is an artefact commonly used in design. It functions as a representative of groups of users with some commonalities. Personas come from and have mainly evolved in designerly dominant settings. Yet, there is an overall scarcity of persona empirical projects, more so in milieus outside prevailing ones. The variety of ontological perspectives and epistemic views in science, design and laypeople’s lives according to locales worldwide make the richness of cultural diversity. And yet, how do designers make sure to design fair representations of people via personas when the users belong to different cultural backgrounds than the researcher’s? This workshop illustrates empirically merging strategies, philosophies, methodologies, methods, ontologies, epistemologies, and diverse tools and techniques towards democratic, fruitful and mutually rewarding cross-cultural designs of persona artefacts. This is exemplified via an empirical persona project carried out in Namibian pastoral and urban sites. Combining User-Centred and Participatory Design within a Human-Centred Design framework proves to be a can opener and a useful move in designing personas across cultures.